Useful links to items about fonts, typesetting, layout rules and more. Please feel free to suggest links. Thank you to all who use these. Butterick’s Practical Typography – outstanding guide to proper use of type. If you find it useful, donate. Typekit Practice – Typography is a practice. Typekit Practice is a collection of resources and a place to try things, hone your skills, and stay sharp. A Glossary of Typographic Terms – A Beautifully Illustrated Glossary Of Typographic Terms You Should Know by Janie Kliever. 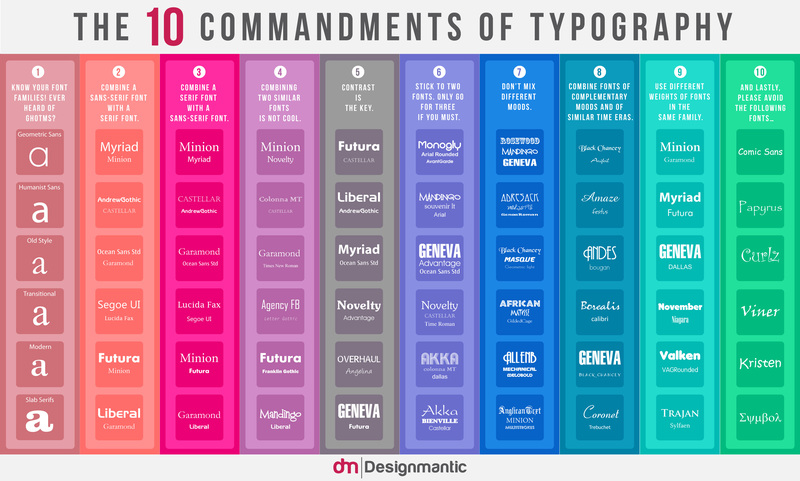 Useful information on font design, structure and usage. Hat tip to Sylvester Jalnaiz @Canva! Font Guide for All Occasions – Hat tip to Cindy Powell and her Girl Scouts! Thanks!